Don't miss out on the opportunity to call the Power & Light Building your new home. Showcasing 1- and 2-bedroom apartment homes, featuring high-end touches that include: hardwood flooring, sleek waterfall edge quartz counters, unique lighting, stainless steel appliances and breathtaking views of Downtown Kansas City. Residents can customize their luxury living experience with our award-winning services in the iconic Power & Light Building. Residents of this art deco treasure are steps away from the best dining, entertainment, and culture Kansas City, MO, has to offer. Explore the vibrant Power & Light District, the thriving arts scene of the Crossroads, the exuberant venues of the Kansas City Ballet, Lyric Opera, Kansas City Symphony, and more. 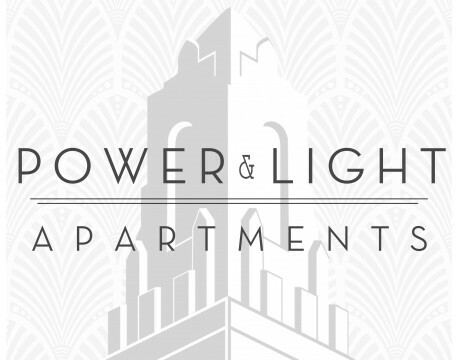 Welcome to a residence of historic elegance at Power & Light Apartments. In 1930, excavation began on what would be the tallest building in Missouri for 50 years. The 36-story skyscraper opened in 1931 as the headquarters of the Kansas City Power & Light Company. It is recognized as one of the finest examples of art deco architecture in the United States and is a monument to the innovation of its time. The large display windows along 14th and Baltimore were designed to showcase new electronic devices and appliances to illustrate the many uses of electricity. A two-story interior auditorium was used to conduct demonstrations of how electricity and these appliances could improve people's lives. KCP&L spared no expense with the construction of the building, which has a reinforced concrete structure and an exterior clad in Indiana limestone. The building boasts several signature features. The focus of the tower was its novel lighting display; a 21-foot lantern, equipped with floodlights to create a luminous, flamelike effect. A two-story grand lobby space is rich with Art Deco ornamentation. Marble and granite form an impressive canvas for the decorative plaster moldings and custom white metalwork of the foyer. At its completion, the Power and Light Building was an exciting and impressive monument and remains the most recognizable and distinctive silhouette in the city's skyline.